A brumby hunter, reported missing and last seen on Friday 20 Nov 2009 at 7pm near Davies Plain in the high plains near the Vic NSW border, has now been found. BSAR searchers searched in the area after arriving on Sunday afternoon. 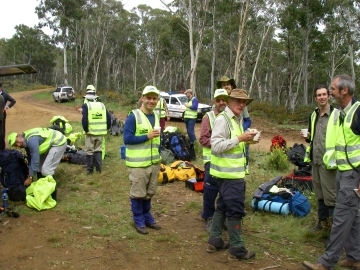 Field Organiser Rik Head advised that 12 BSAR searchers stayed out in the bush on Sunday night. 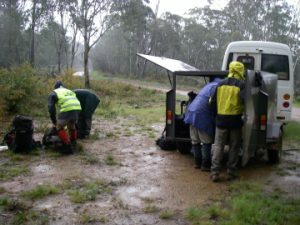 Some of the search terrain in this very remote area was difficult due to vegetation regrowth after the 2003 alpine bushfires. The search command post was 8 kms from the search area. Travel between the two locations was provided by 4WDs fitted with chains due to wet slippery tracks. 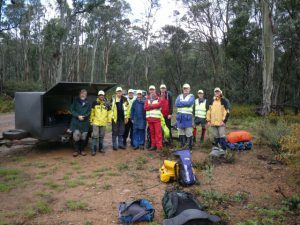 A second callout on Sundary for BSAR searchers resulted in an addtional 23 searchers arriving on Monday morning at search base. The missing person was found by searchers on horseback after he walked onto a track on Monday morning. He was in good condition. He survived by sleeping in a wombat hole one night with a dog for company to keep him warm, and making a bush shelter around a hollow log for another night. 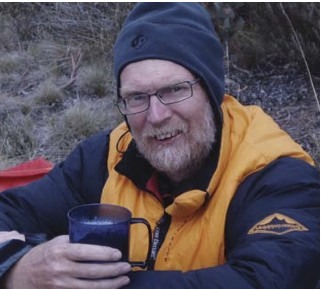 Police Liaison Officer, Merv Trease, advised all Bush Search and Rescue search crews returned home on Monday, with searchers from Melbourne arriving in town at 8-30pm. BSAR offers a $40 subsidy members for completing a Level 2 first aid course or higher. 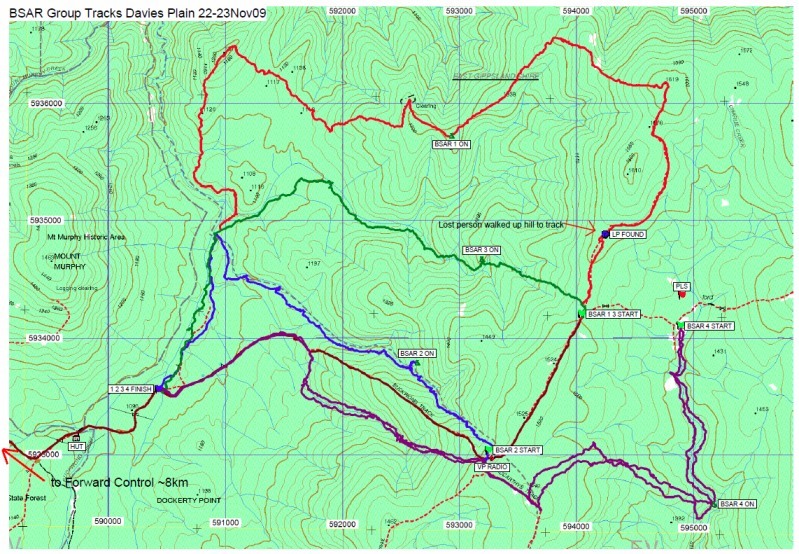 This is in addition to the $25 subsidy offered by Bushwalking Victoria. A number of batteries commonly found on supermarket shelves and hardware stores in Australia were recently put to the test in the Garmin Vista HCx GPS units commonly used by BSAR. 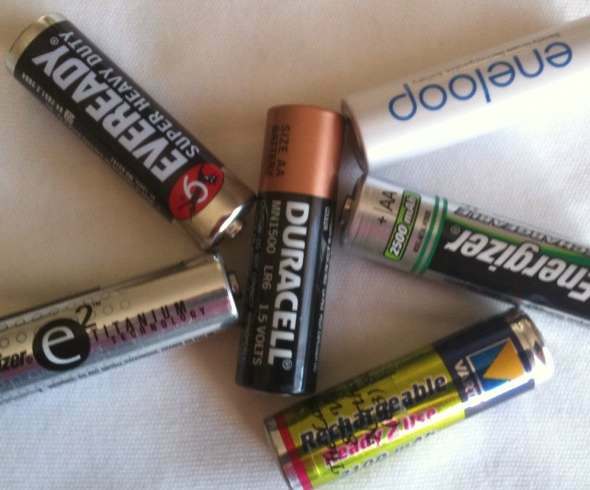 Fresh batteries were purchased in packs of 4 and the standard price noted per battery. Batteries were placed in a GPS unit. The unit was turned on and operated such that it displayed the Main Menu screen. The GPS unit was placed on a shelf at room temperature.